The University of Maine at Presque Isle and the Presque Isle Rotary Club are joining forces to celebrate World Polio Day on Wednesday, Oct. 24, in a big way – presenting a day’s worth of activities meant to raise awareness of Rotary International’s efforts to eradicate polio worldwide and to raise money — $1 at a time – to go toward that global effort. The day will include a Purple Pinkie Project event from 9 a.m. to 5 p.m. in the UMPI Campus Center, and also at three sponsoring organizations at various times throughout the day to help bring the project citywide – the Aroostook Centre Mall, Northern Maine Community College, and The Aroostook Medical Center. 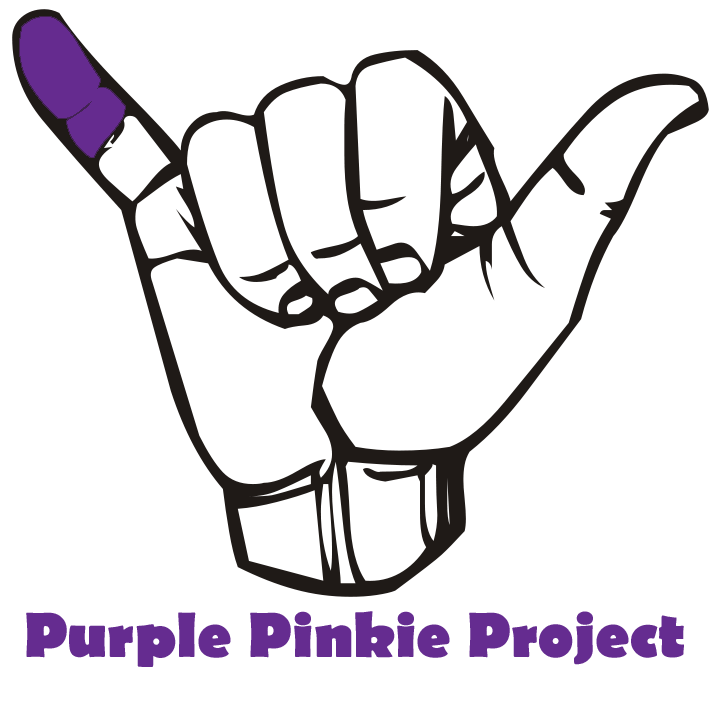 Volunteers will be on hand to paint your pinkie purple for $1 to help raise money for polio eradication. Funds raised will go toward Rotary International’s End Polio Now efforts. In the evening, TAMC presents its 30th Storer Boone Memorial Presentation also honoring Dr. Arthur Pendleton of Fort Fairfield – titled End Polio Now – at 7 p.m. in the Campus Center. Polio has not been a problem in the U.S. for many years, but this is not the case in several developing countries. In 1985, Rotary International began raising funds in an effort to eliminate Polio worldwide. By partnering with the World Health Organization and other government and private groups, Rotary International has achieved a 99 percent reduction of Polio worldwide. The day’s Purple Pinkie Project will raise funds to help out with that remaining 1 percent. Similar Purple Pinkie projects have been held by Rotary Clubs around the country, with people donating $1 to have their pinkies marked with the same purple dye used when Rotary International conducts polio immunizations. The estimated cost to immunize one child from polio is $1, and when each child gets immunized, Rotarians mark their pinkies with a topical purple dye called Gentian Violet to prevent double dosages. The dye’s safety has been confirmed by doctors and pharmacists – it’s widely used by nursing mothers and in the mouths of infants – however, Gentian Violet is brilliantly purple and will leave your finger colored for a day or two. At NMCC, in the Christie Lobby, from 8:30-10:30 a.m. Members of UMPI’s Student Education Association of Maine, UMPI Education Majors, and NMCC students will staff this table. At the Aroostook Centre Mall, near the Dollar Tree, from 9-10:45 a.m. UMPI Business Majors will staff this table. At the Aroostook Centre Mall, in the Food Court, from 10 a.m. to 4 p.m. Members of UMPI’s radio station WUPI-92.1FM, student newspaper the University Times, and the Professional Communication and Journalism 212 class will staff this table. At TAMC, Main Entrance and Pinkham Entrance, from 1-3 p.m. Members of UMPI’s BioMedical Club and NMCC students will staff these tables. Also during the day, posters, handouts, and other informational materials on polio in Aroostook County and around the world will be on display throughout the Campus Center. In addition, UMPI’s Student Organization of Social Work will have an information table in the Owl’s Nest about polio’s impacts in Africa, Central America and Pakistan. As well, a video about polio created by UMPI Professional Communication students will play on the e-bulletin boards around campus. TAMC’s 30th Storer Boone Memorial Presentation, also honoring Dr. Arthur Pendleton of Fort Fairfield, will take place that evening with an End Polio Now presentation about the disease and efforts to eradicate it at 7 p.m. in the Campus Center. This program is dedicated in memory of Dr. Storer Boone, 1894-1981, and will include talks by a local polio survivor, a TAMC physician discussing polio in one of the few countries where it remains, and a Rotarian sharing details about Rotary’s journey to eradicate polio. The Aroostook Medical Center (TAMC) designates this educational activity for up to 1 hour of Category 1 AMA PRA CME credit. 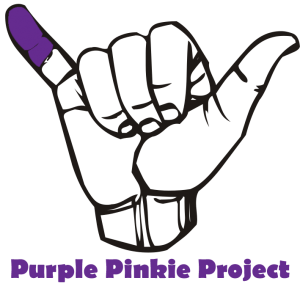 Ahead of the Boone presentation, there will be a Purple Pinkie Project station set up from 6:30-7 p.m. on the second floor of the Campus Center to give attendees one last chance to get their pinkies painted purple. Officials will announce how much was raised as part of the day’s Purple Pinkie Project at the event’s close. The day’s events are open to the public. For more information, contact UMPI’s Community and Media Relations Office at 768-9452.